1. Look at the big picture. Remember you are in this life together – you are each other’s best ally to navigate this crazy world. 2. Treat your honey once in a while – bring him/her a glass of wine or cup of tea, draw a hot bath or offer some bodywork. Mmmm… give your spouse a reason to feel lucky to have you! 3. Got a beef? Speak up, solve it and move on. Get over the hurdles and back on track. (But don’t disagree on an empty stomach – eat, relax, then discuss). 4. Compromise. Easy to say – hard to do, but worth the effort. 5. Spouses deserve the best of you, not the cranky part that can come out after a hard day. If something is making you cranky every day, then that is what you need to look at. 6. Make the effort to be mentally and emotionally connected even if you are physically apart. 7. You don’t have to ask your spouse for approval on decisions you can make for yourself, but discuss the big stuff and make joint decisions together. 8. Always keep your spouse courteously informed of your whereabouts and future plans. 9. Don’t cheat – not even once. Deceit causes lack of trust, which can sink a marriage. 10. Don’t say things behind your spouse’s back that you wouldn’t say to their face. If your spouse gives you a reason to do so, consider that a clue, and deal with it. 11. Travel together on this journey of life. Sometimes you can travel independently for a little while, but always go back to finding each other as a couple. 12. Remember the Golden Rule – Do unto others (including and especially your spouse) as you would have them do unto you. I love and appreciate my husband Cliff more than words can say. I am ecstatic to be celebrating this milestone of a 30th Wedding Anniversary with him. If you are curious about the early days of my relationship with Cliff – how we met, fell in love and navigated our life and motorcycle trips together, it is all in my ebook, Traveling Together: Cliff and Me and the Motorcycle Makes Three. Take a “look inside” the book here. And yes, that is us on the book’s cover, on September 25, 1982. To the left is a photo of us taken last weekend. We are still traveling together and enjoying the journey. 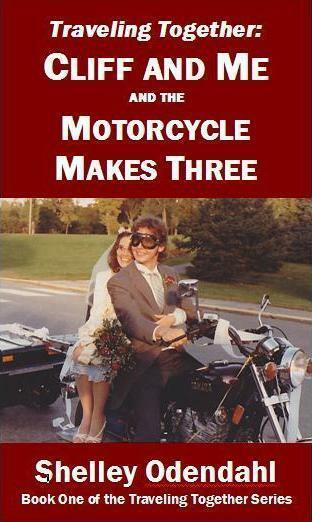 That is how I describe my first e-book, a memoir titled Traveling Together: Cliff and Me and the Motorcycle Makes Three. I am thrilled to announce it is now published and available in the Amazon Kindle store. I met Cliff in 1981 and we married a year later. 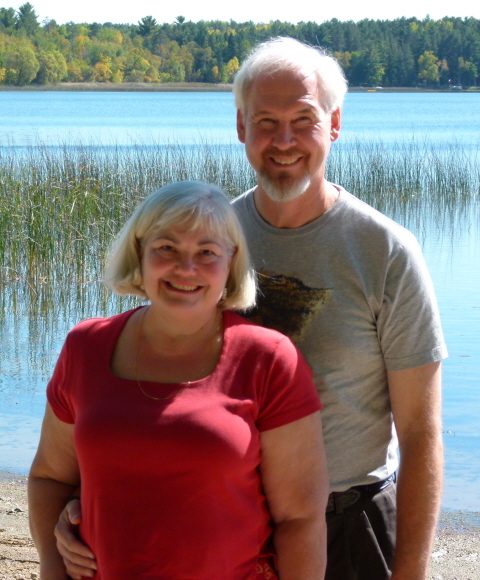 We took several motorcycle trips together — to Jackson Hole, Yellowstone, the Black Hills, Door County, and Colorado. Our adventures during those journeys are the basis for this book. At 20,000 words it is a quick read. I hope you will consider taking a “look inside” at the link (book title) above. Let me know what you think!